Russian lawmakers have passed a motion officially barring reporters working for media outlets recognized as foreign agents from entering the lower house of the country’s parliament as a symmetrical response to sanctions applied to RT in the US. 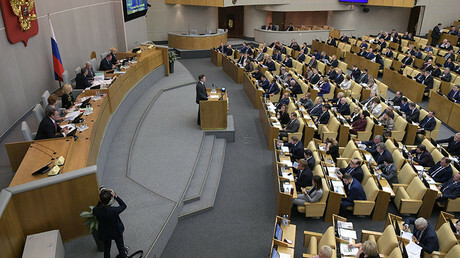 The motion, prepared by the State Duma Regulations Committee, states that the lower house sees as inadmissible any moves targeting basic human rights and freedoms, in particular, the freedom of speech and free access to information. The document emphasizes that the entry ban is a response to a move by the US Department of Justice, which ordered RT America to register as a foreign agent. In the same statement, lawmakers proposed that Russian regional legislatures undertake similar measures. 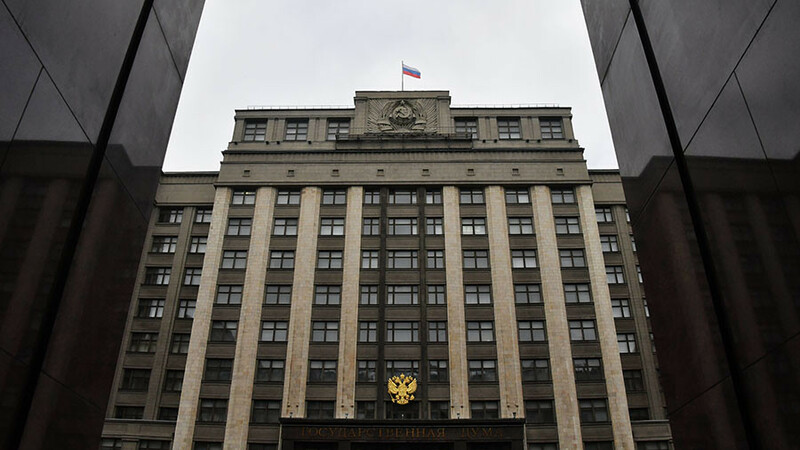 Earlier this week, the upper house of the Russian parliament also introduced an entry ban on journalists who work for mass-media outlets recognized as foreign agents. The bill requiring media outlets operating in Russia but funded from abroad to register as ‘foreign agents’ was signed into law by Putin on November 25. The law applies to any foreign organizations that operate with or without registering as a company if they are engaged in putting out printed, audio, audio-visual, or any other content prepared for an unlimited group of people. 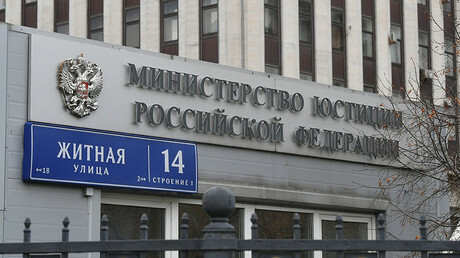 The register of foreign agents in mass media is maintained by the Russian Justice Ministry. On December 5, the ministry released the first list of media outlets recognized as foreign agents. These are US-funded organizations, including Voice of America, Radio Free Europe/Radio Liberty and seven regional other outlets that are either joint projects or subsidiaries of the first two – the websites Azatliq Radio, Kavkaz.Realii, Krym Realii and Sibir Realii; the Current Time TV channel; the Factograph.info website; and the IdelRealii project. According to the head of the upper house Commission for Protection of National Sovereignty, Senator Andrey Klimov, so far there are no plans to put other media outlets on the foreign agents list. The senator stated that US-funded “propaganda companies” were included on the list, and CNN is not among them. “CNN is not a propaganda company, and some other media – I will not name them all – also do not fall under this definition,” Klimov said. The senator noted in press comments that Moscow might review the ban if Washington stops its repressions against Russian media. “If Washington comes to its senses and stops pressure on Russian media, in this case we will think about adjusting our decisions,” he said.